Land Rover models are known for their beauty, but they should also be known for their technology. Inside and outside of each one of these models lies the best technology available for vehicles today. From entertainment, to safety, to overall design, see for yourself how these models bring technology to the forefront. When it comes to discussing vehicle technology, most Greenwich drivers will want to focus on the tech that provides entertainment, information, and connectivity. When it comes to Land Rover models, they know how to give drivers exactly what you want. 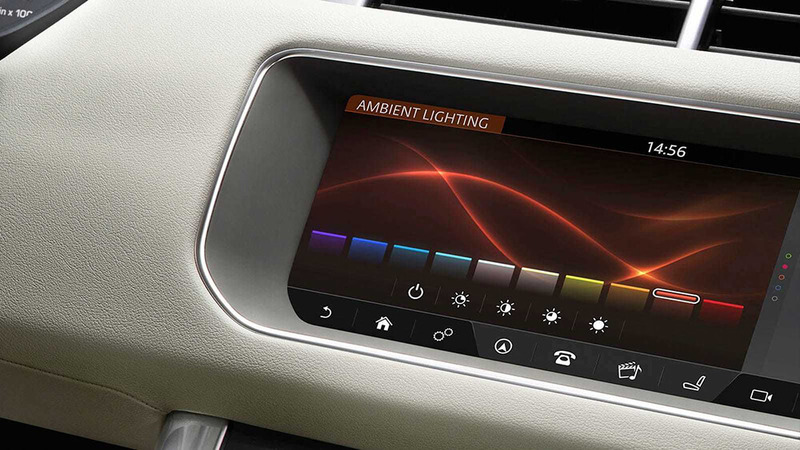 To kick things off, each and every Land Rover model comes equipped with InControl® technology. This is a suite of entertainment and infotainment features that keep drivers and passengers fully engaged while on the road. The InControl Touch Pro™ comes standard with a 10-inch touchscreen, ensuring that everyone has a clear view of the information they need. Aside from entertainment, the InControl Remote™ feature makes it easy for drivers to stay connected to their vehicle at all times. Through a smartphone app, you can easily lock/unlock your doors or start/stop your vehicle–from anywhere. In addition, you can also have access to driving reports. For those looking for safety, the InControl Protect™ feature provides instant access to roadside assistance or first responders when needed. In addition to the InControl systems, all Land Rover models come equipped with advanced sound systems too. For instance, the available Meridian® sound systems create an elegant listening experience for everyone in the cabin, no matter where they are seated. In addition, each model comes equipped with a special Spotify app, allowing drivers and passengers instant access to more music. Finally, drivers who need help with directions will find the Land Rover navigation system a dream come true. With updated traffic and weather alerts, you can count on these models to provide you with everything you need. 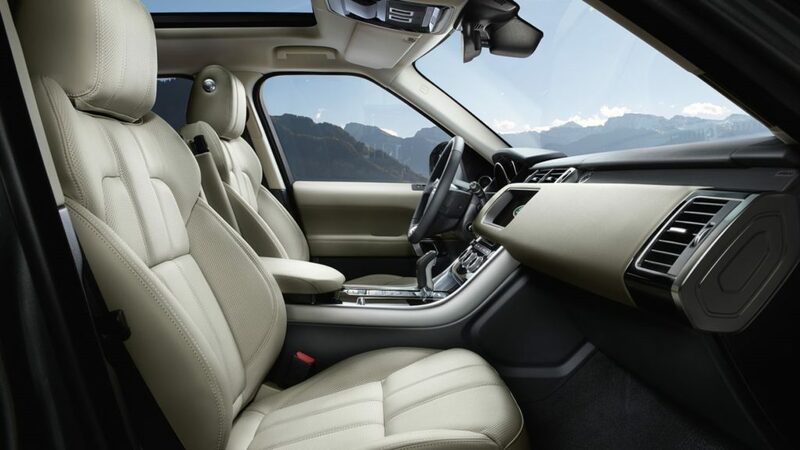 West Port drivers appreciate models that keep them safe, and the Land Rover models are equipped with standard and available safety features that provide everything you need for peace of mind. Drivers will certainly appreciate the Adaptive Cruise Control feature. When applied, this feature will help you stay up with traffic while also monitoring surroundings. If the vehicle in front of you applies brake pressure, your Land Rover will too. This way, you don’t have to worry about collisions. In addition, the Lane Keep Assist helps ensure you are always where you need to be. Through sensors, this feature monitors your location and warns you if your vehicle starts to drift. It works in tandem with the Driver Condition Monitor too, which will monitor your driving and alert you if it feels you should take a break due to drowsiness. Parking aids are also available. With cameras, you can see a clear view of your surroundings, which makes getting in and out of parking spots much easier. Finally, the Blind Spot Monitor feature keeps you in the know regarding your New Canaan surroundings. For instance, when objects are in your blind spot, this model will alert you so you can make smart driving decisions. Most Greenwich drivers may not realize the amount of technology that goes into a vehicle’s performance, but it does. Every Land Rover model uses the latest technology features to ensure that their vehicles drive perfectly in all weather and road conditions. For instance, the Adaptive Dynamics constantly monitor the vehicle’s movements and make automatic adjustments to ensure a smooth ride. In addition, Dynamic Response system helps the vehicle accurately handle turns, making this vehicle more comfortable to drive. 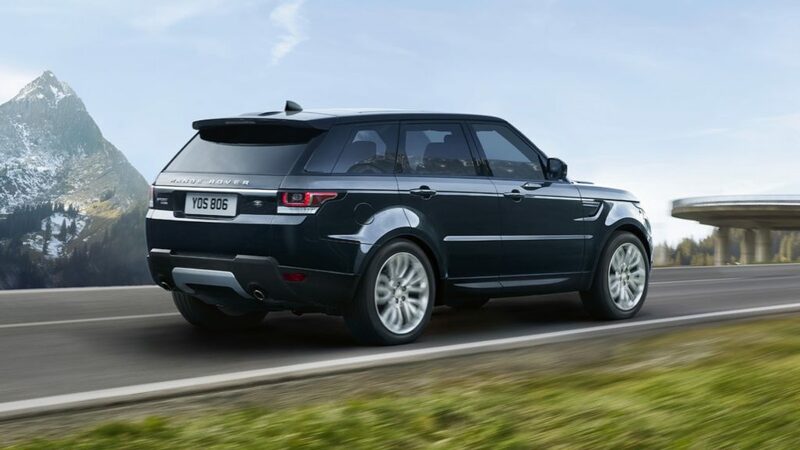 Every Land Rover model also uses advanced technology for the body of each vehicle. Through innovation, these vehicles use a lightweight aluminum material that enforces the strength of the model while also improving efficiency on the West Port roads. If you want to choose a vehicle that includes all the tech features you could hope for, the Land Rover models would be the ones to choose. The 2017 Land Rover models are packed with technology, from the performance features, to the design, all the way to inside the cabin. When safety, entertainment, and fluidity are on the top of your list, the Land Rover should be too. Land Rover Darien, located at 1335 Post Rd in Darien, has a large selection of Land Rover models for you to see. Visit our dealership to explore the tech in person, or contact us at (855) 552-1292 to learn more. If you find something you like, feel free to start an online application too.